The Asia-Pacific headquartered and international firms that are providing an exceptional client-focused experience have been named by the Financial Times. In its third annual Innovative Lawyers report, the FT highlights the growth of firms in Asia-Pacific, breaking free of a market dominated in the past by US and European firms. The top 5 Asia-Pacific headquartered firms were: Nishith Desai Associates (India); King & Wood Mallesons (China/Australia); Gilbert + Tobin (Australia); Yulchon (South Korea); and Kim & Chang (South Korea). Corrs Chambers Westgarth (Australia); Simpson & Grierson (New Zealand); Salvos Legal (Australia); and AdventBalance (Australia); also made the top 25. The top 5 international firms were: Herbert Smith Freehills; Linklaters; Norton Rose Fulbright; Hogan Lovells; and Shearman & Sterling. The lawyer named as “most forward thinking” in the report is Wang Junfeng, principal founding partner and global chairman of King & Wood Mallesons. 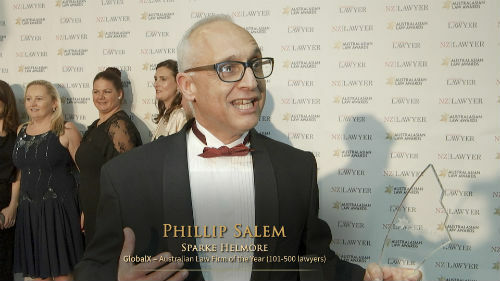 There are mentions in this category for ten lawyers including: Justin D’Agostino of Herbert Smith Freehills; Luke Geary of Salvo Legal; Jane Jiang of Allen & Overy; Wai King Ng of WongPartnership; and David Watkins of Slaughter & May. Two new partners have joined King & Wood Mallesons in Hong Kong. Commercial litigator and technology specialist Peter Bullock joins from Pinsent Masons where he established the firm’s technology law group nearly two decades ago. Meanwhile, IPO specialist Anthony Wan joins from Llinks Law having previously been at Clifford Chance and Morrison Foerster. Erik Wallace has joined the Hong Kong office of Stephenson Harwood as a private wealth partner. Wallace has been with Withers for the past decade with a practice focused on advising high net worth families on all aspects of US taxation and estate planning.